Trainer Tim Glyshaw reflected on his first graded stakes victory with Bullards Alley in Saturday’s Louisville Handicap (Grade III) – a race that he originally intended to compete in only if weather conditions were to force it off the turf. The 4-year-old son of Flower Alley was going into Saturday’s race following an allowance victory at Churchill Downs on May 12, only nine days before the Louisville Handicap. Glyshaw was not in attendance for his first graded stakes victory. Instead, he was at Indiana Grand saddling a new horse in his stable that he has high hopes for. 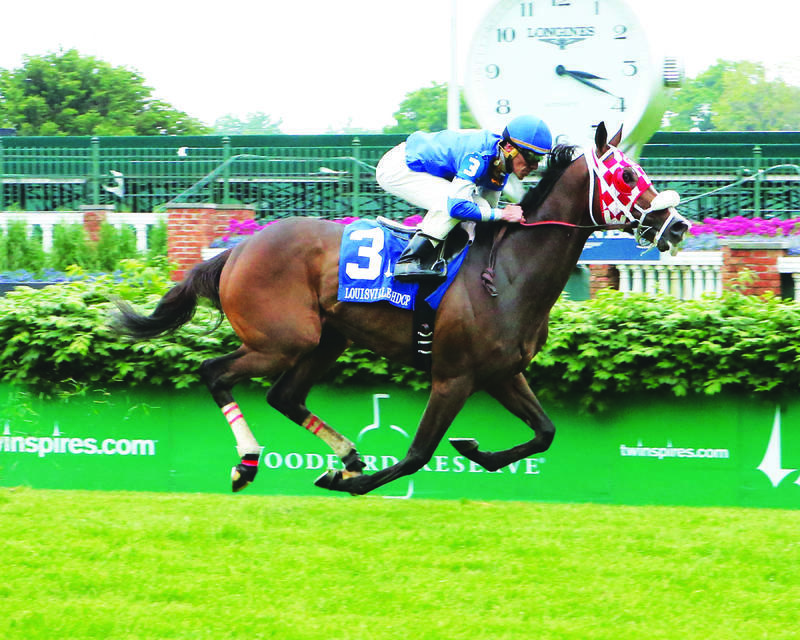 Glyshaw believes that Bullards Alley does his best running when going 1 ½ miles, the distance of the Louisville Handicap. 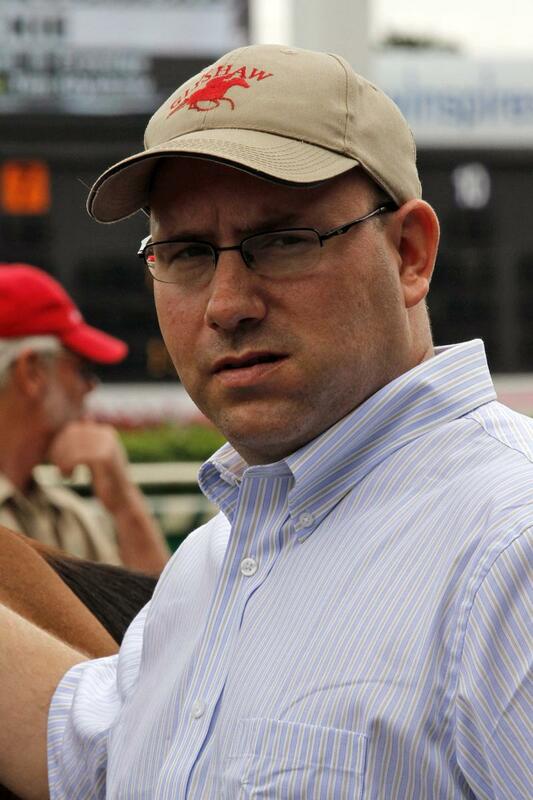 Glyshaw will point Bullards Alley for a race on July 16: either the Michael Schaefer Memorial or the Warrior Veterans, both $100,000 listed events at Indiana Grand Race Course. 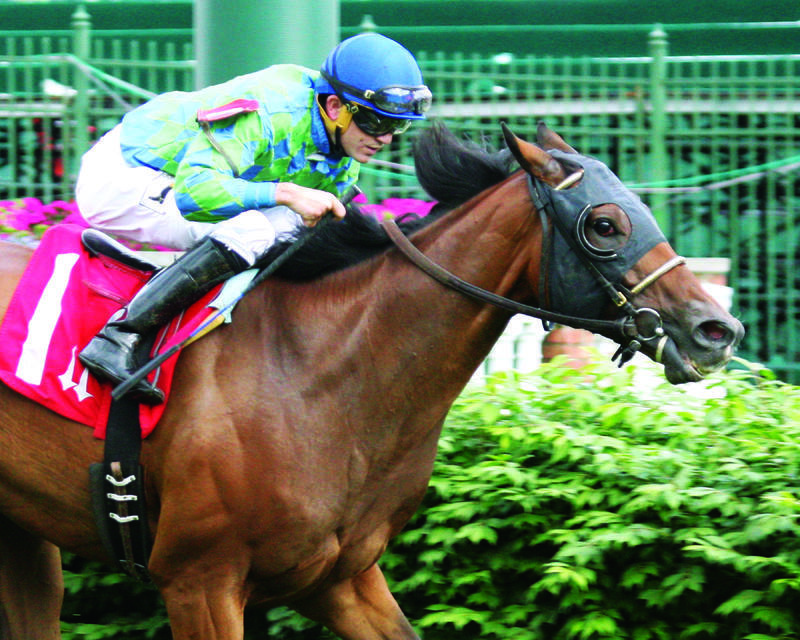 THATCHER STREET TO TARGET WISE DAN FOLLOWING SATURDAY’S VICTORY - Randall L. Bloch, Phil Milner, and John Seiler’s Thatcher Street will compete in the $200,000 Wise Dan (GII) on June 18 following his triumph in the Opening Verse Stakes on Saturday afternoon. Wilkes was happy with the 5-year-old son of Street Sense’s victory on Saturday. Thatcher Street’s racing career began on the dirt before Wilkes changed tactics and made the switch to the grass in his 10th career start. 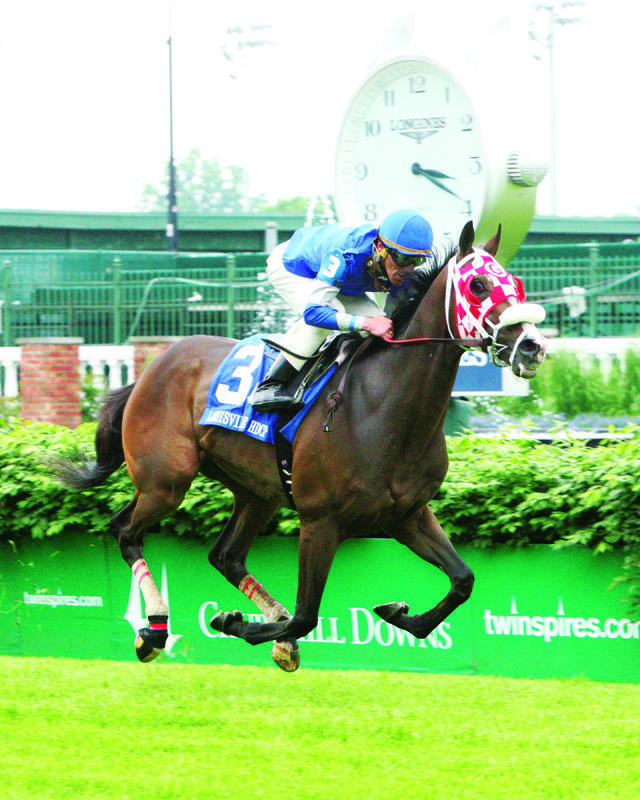 The Opening Verse was the horse’s third win in five starts over the Matt Winn Turf Course. Jockey Brian Hernandez Jr. spoke on the horse’s affinity for the Churchill lawn. SEVEN-POUND BUG EZEQUIEL RIVERA SCORES FIRST U.S. VICTORY ON SATURDAY – Ezequiel Rivera, a 16-year-old native of Panama City, Panama, won his first race as a jockey in the United States in Saturday’s first race aboard Only One Wish for trainer Joe Sharp. Rivera is named the rider on Dollar Doblado in Race 7 on Sunday afternoon. DOWN THE STRETCH – Albaugh Family Stables’ Brody’s Cause put in his first workout since a seventh-place effort in the Kentucky Derby Presented by Yum! Brands (GI) on Sunday morning. The son of Giant’s Causeway breezed five furlongs in 1:01.00 for trainer Dale Romans. Churchill Downs clockers caught Brody’s Cause in :24 and :48 with a six-furlong gallop out in 1:15.20. He is expected to join stablemate and Preakness runner-up Cherry Wine in the June 11 Belmont Stakes. … Gunpowder Farms LLC’s Divisidero, winner of the Woodford Reserve Turf Classic (GI), went five furlongs in 1:02.40 for trainer Buff Bradley. Divisidero’s splits were :14, :26.80 and :39 with a six-furlong gallop out in 1:15. … Tom’s Ready, 12th in the Kentucky Derby for trainer Dallas Stewart, breezed a half-mile in :49 in company with stablemate Lemon Drop Title. They went the first quarter mile in :25 and Tom’s Ready galloped out five furlongs in 1:02.60. 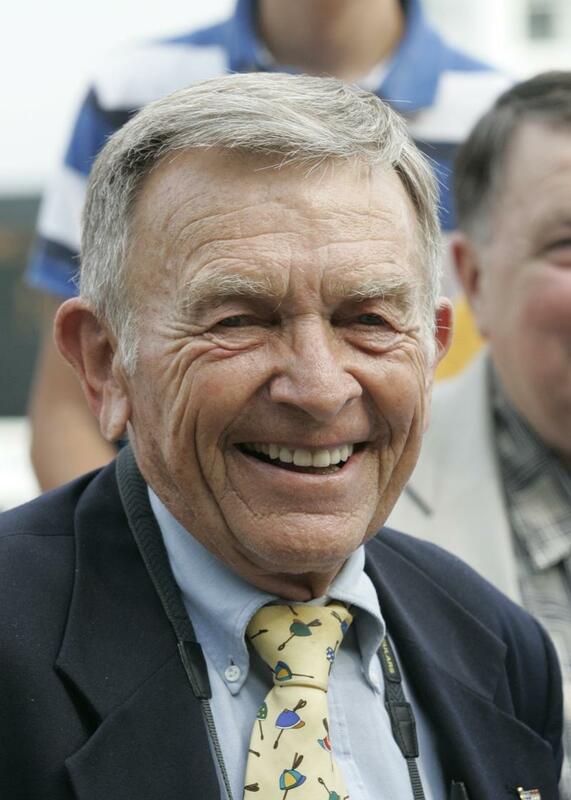 … A visitation for the late Fred Bradley, the longtime Frankfort, Ky. breeder and owner of two-time female sprint champion Groupie Doll and Grade I winning-gelding Brass Hat, will take place Tuesday at Harrod Brothers Funeral Home in Frankfort, Ky. (312 Washington St., Frankfort, Ky., 40601) from 4-8 p.m. The funeral will take place Wednesday at 1 p.m. at the Church of Ascension (311 Washington St., Frankfort, Ky., 40601). The 85-year-old Bradley - father of trainer William "Buff" Bradley - passed away on Friday, May 20.